MOVE-IN READY! This extraordinary 5,474 sq. 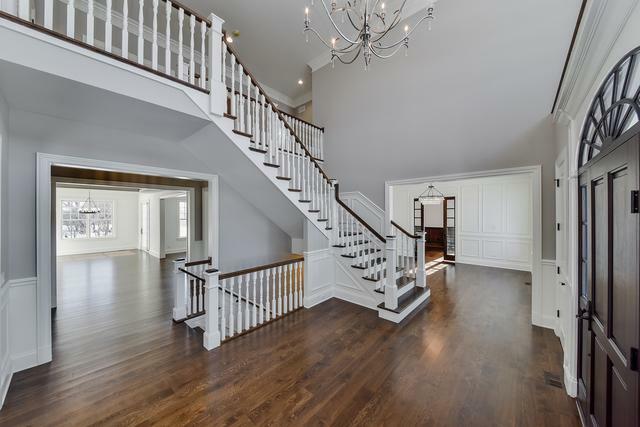 ft. new construction home by JRH Properties boasts 4 bdrms & 3.1 luxurious baths. Discover 10' ceilings on 1st & 2nd flr w/an impressive design. Beautiful kitchen w/Amish Cabinetry, granite & marble countertops, SS Thermador appliances & large walk-in pantry. DR w/butler's pantry. 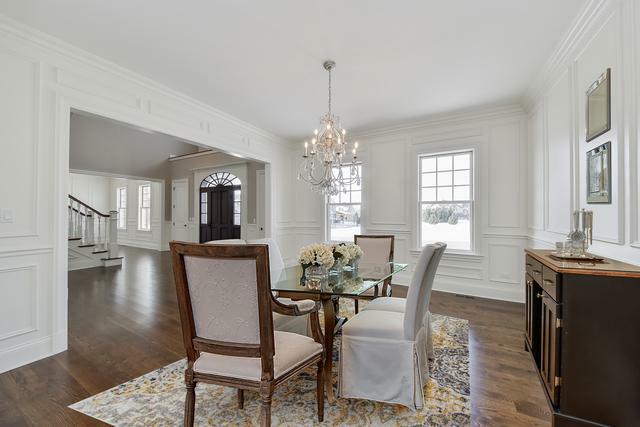 Private 1st flr study w/detailed trim design. 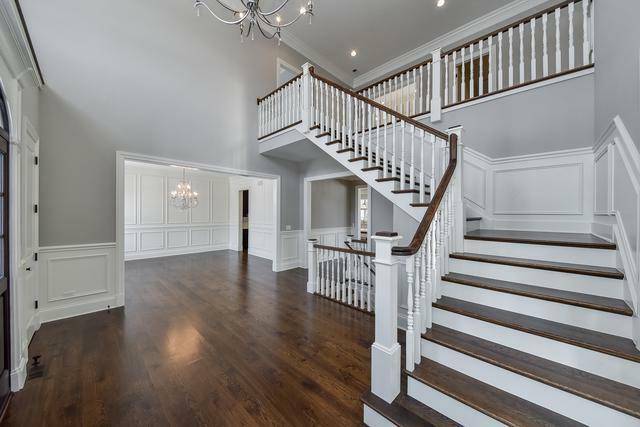 Masterfully detailed wood molding throughout. Large master suite w/tray ceiling, LUX master bath, & large walk-in master closet. All bdrms w/walk-in closets. 6" wide white oak hardwood flooring on 1st flr & 2nd flr hall. 1st flr mud rm w/custom lockers & 2nd flr laundry rm. 10' deep pour basement w/ full bath rough-in. Nearly all brick home w/large 4 car garage. Proudly located on a large lot w/tree line. Call for your private showing today & enjoy the many advantages of buying a new home in a beautiful neighborhood!